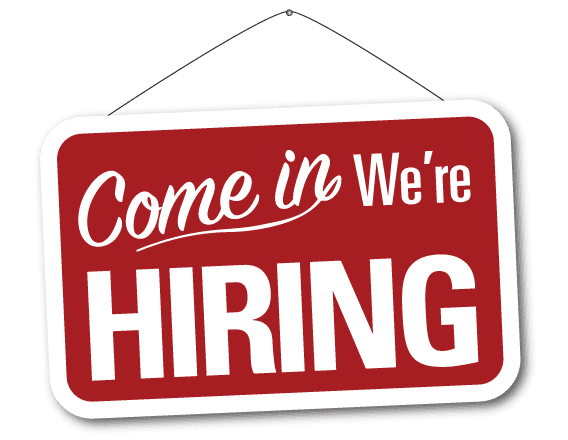 We are looking to hire experienced/seasoned sales associates or recently retired professionals that are looking for flexible hours with the ability to obtain rewarding compensation. 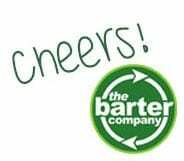 The Barter Company (TBC) is seeking experienced/seasoned sales associates or recent retired professionals that are looking for flexible hours with the ability to obtain rewarding compensation. To apply, please email your resume to info@barterco.com or call Scott Stinnett at (770) 634-3549. If you’re feeling better about the economy these days, you’re not alone. A new study shows the growth rate of new small businesses is ticking up–though as a whole, times aren’t as flush as they were before the latest recession. New businesses opened in larger numbers across America over the past year. That should be good news for the economy, and mostly it is, according to Kauffman Foundation’s Index of Startup Activity for 2015, released on Thursday. But new business formations generally keep track with economic cycles, the survey’s researchers say. And so it’s hard to know if the small business recovery, like the one of the larger economy, has legs. What’s more, the increased small business growth rate for the year occurs against a backdrop of overall declining entrepreneurship, with the total number of new businesses steadily dropping for the past 40 years. The index, which measures the rate of new business formation per 100,000 adults, is divided into three segments–the total rate of new business formation (including solo entrepreneurs), the share of new businesses started to take advantage of new opportunities, and the number of new businesses with at least one employee, as a share of the population. Kauffman makes the distinction between entrepreneurs who start businesses to take advantage of new business opportunities, as opposed to those who start businesses because they lost a job, because it is likely to be an indication of a more durable business. While the overall index is still in negative territory, the index growth rate for new businesses rose to 0.31 percent in 2014, compared to 0.28 percent in 2013. That rate, which translates into roughly 569,000 new businesses for the year, is also fractionally higher than the rates for the 10 years leading up to the 2008 recession. And contrary to the popular perception that it’s the young starting the most businesses, more than 52 percent of new businesses in 2014 were formed by entrepreneurs between the ages of 45 and 64. Less than a quarter of new businesses were started by entrepreneurs between 20 and 34 years old. The number of businesses with at least one employee–a key indicator for unemployment numbers, as most workers are employed by small businesses–is growing at a much slower rate. Kauffman gauges such businesses on a numerical scale, rather than a percentage. And for 2014, that number was 130.6 businesses for every 100,000 people, an increase of 2.2 points compared to 2013, but far below the score of 188.3 as the recession was peaking in 2009. The score for 2014 works out to about 314,000 new businesses for 2015. When many people hear the word “barter”, it’s hard not to envision ancient tribes of people trading beans for rocks and other materials. They aren’t wrong, in fact that’s how it all started so many years ago. But we’ve come a long way since those days. In today’s world, barter is extremely prevalent still, just in a new form – Round Robin barter. 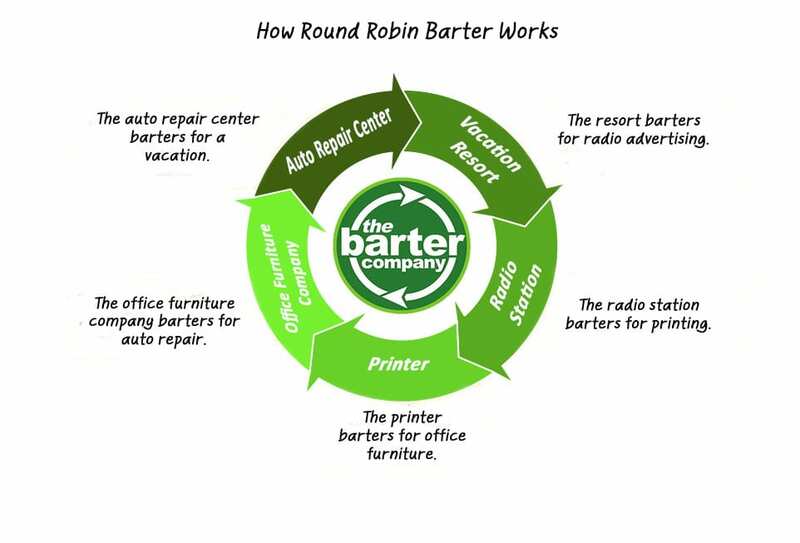 The Barter Company offers this “round robin” style of barter so that clients can trade their goods/services in our network and earn barter dollars in return for those goods/services. These barter dollars can then be spent anywhere in our network, so you are not limited to direct trading with one person. It’s genius, right? TBC works to bring you new sales and increased market share, reduce inventory, and minimize cash outlay for everyday business expenses. TBC provides you with an alternate distribution network by using barter dollars instead of cash to handle your transactions. You can charge retail value for goods and services in barter dollars instead of selling them for reduced cash rates or having them go unsold. So what are you waiting for? Start trading for your business and personal needs today and put cash back in your wallet! Do you want $0 cash fees when you trade with other clients?? By referring other business owners to TBC, you can do just that! Each time you refer a business to TBC, we pay you $200cash (and $200Trade). Depending on how much you trade each month, you could have your cash fees covered by simply referring just a couple of clients! It is a no-brainer AND it adds to the wonderful membership of barter clients you can trade with. 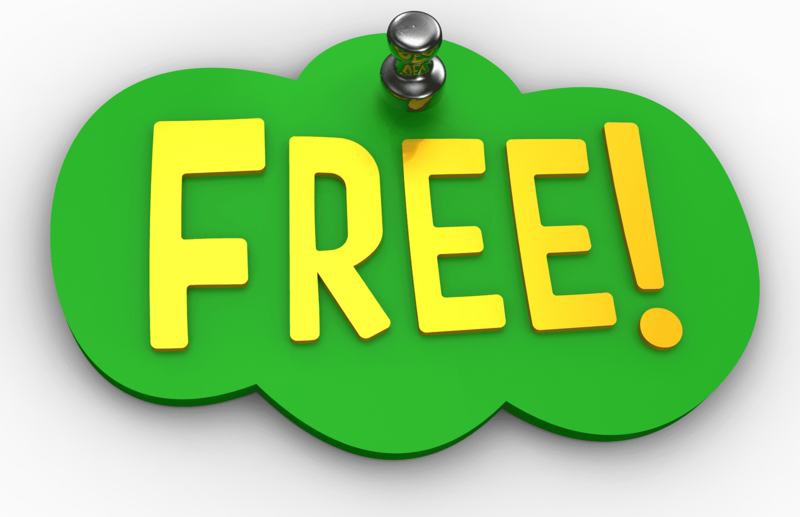 For more info, call us at (770) 591-4343 and start trading for FREE! Stephanie Tatum, travel and broker assistant at The Barter Company, would agree. ”Earlier this year when I broke my vertebrae, I could only work for a few hours a day. Roscoe and Bobo sensed that I was in a lot of pain and would always check on me and curl up on my desk. It was a comfort to me and helped me get through a tough time,” said Tatum. 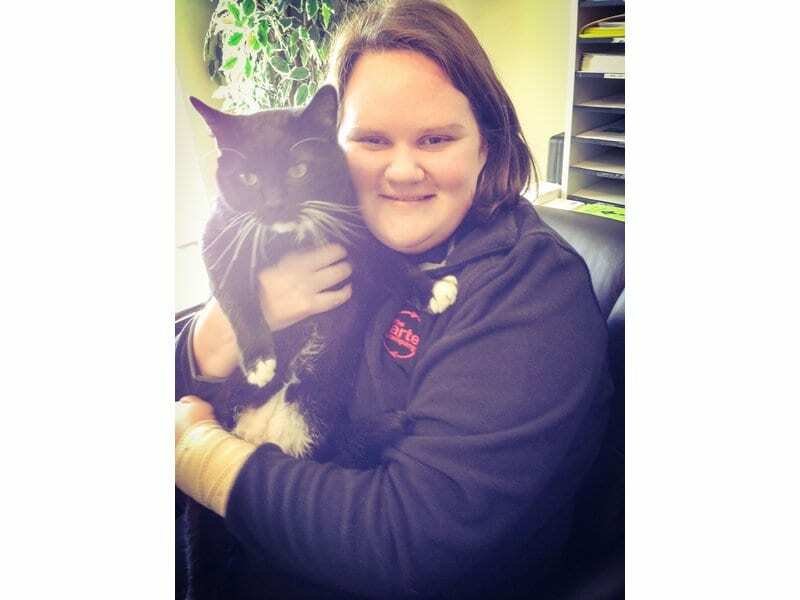 National Cat Day was founded in 2005 by Pet and Family Lifestyle Expert and Animal Welfare Advocate Colleen Paige. 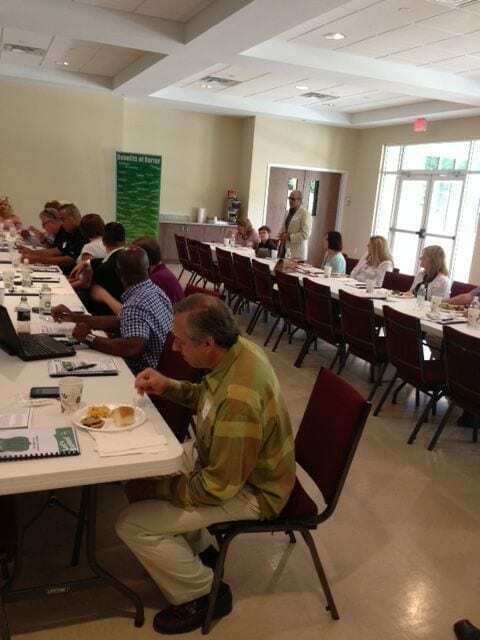 Thanks For Attending Our May Barter 101 Luncheon! 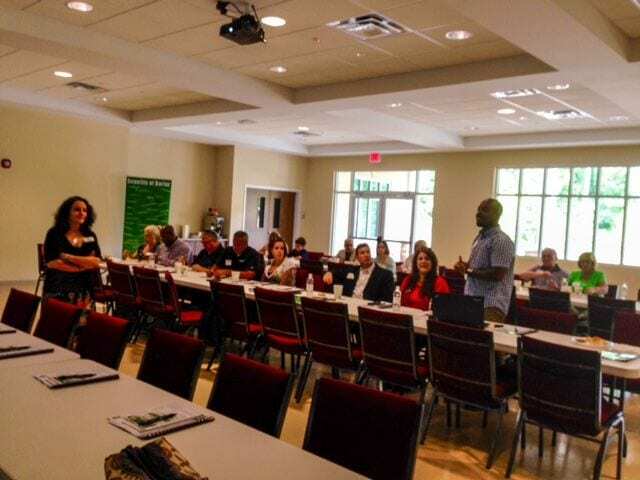 Thank you to our wonderful new clients who attended yesterday’s Barter 101. We hope everyone left with lots of great info and are excited to jump start your barter experience! Thank you to The Rotisserie Shop for providing a delicious lunch buffet for all attendees. If you’d like to receive the Barter 101 presentation via email, please reply to info@barterco.com. Focus less on automated technology and more on empathy — Instead of using lead scores to drive engagement develop a training system focused on solving expected problems for industry veterans. Use your humanity as an advantage — Talk, email, text, social like a human — not a robot. Train your organization to apologize quickly and thoroughly. Do what is right even though it seems like you are losing in the short term. Make people feel “awesome” — Be memorable. It trumps every other emotion. Find ways to be surprising even it makes you uncomfortable. You’ll end up building deeper relationships and get the “benefit of the doubt” when you screw up down the road. Build warriors. Protect your castle first — A great culture beats great sales training in any business in any industry. Hire people who are willing to do whatever it takes in order to be massively successful. Ethics matters more than results. Hiring for experience is the #1 reason you’ll fail — Bring in team members who have a bright future instead of a legendary past. Hire for hard work and creativity not experience in the industry you are playing in. Stop doing meetings, reports, and status updates — Your best people respond to candor and tough love. Your mediocre team members use weekly meetings and quarterly performance reviews as a way to justify poor results. Change that. Do what you say. Say what you do — There is no reason why you shouldn’t be following up and following through — and yet it is the huge reason why so many organizations fail. Candor. Clarity. And consistency. Focus on your line of target customers more than the bottom line — You can’t boost your profit if you don’t know how to generate more prospects. Sometimes, getting cash flow positive is enough momentum to figure out how to stay headed in the right direction. Play the long game. Take the high road — Success isn’t a quarter, a deal, or a dream client. It’s you doing the right thing, the right way, until you get the results that you are looking for. Smother your customers, not your leads — Spend less time with prospects and more time with people who are already doing business with you. Over deliver after you’ve closed the deal. A mission beats a sales quota any day of the week — Give people a reason to dream, not a mark in the CRM to get close to. A great mission trumps a stellar process — Stop yelling about your sales process and create an inspired environment where the process is magnetic — where your team goes the extra mile in order to achieve results (without unnecessary nagging). The “good old days” were horrible — Create a culture where the future is what you talk about — not “big fish” tales from the past. Give a lot more value than people pay for — Lose all the whitepapers and start delivering value in ways that people truly find magical. Be thoughtful and deliberate to make sure people feel loved and appreciated. Don’t shirk shrinks — The mental battle for sales success is the biggest challenge you will face. Spend time with a coach, mentor, or therapist on a regular basis in order to keep your head in the game. Losing starts the moment you start thinking about it. Only worry about what you can improve — Focus on the details and fix what’s broken rather than hoping things automatically improve without you having to do anything about it. Get “new school” with conversations — Stop wasting time talking about things and communicate real time using apps and messaging platforms that allow people to prioritize information, quantify needs, and clarify expectations. Fight passive aggression and mediocrity head on — Don’t let people get away with playing games and rigging the system to stay employed but ineffective as a part of the team. Fire losers fast. Be honest about wins and losses — Sometimes you just get lucky. Don’t pretend like it was great sales skills. Other times you lose when you should have been the winner. Talk about what works and what doesn’t. 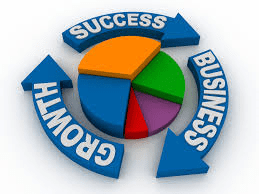 Trying to make your business more profitable? Well, then you’ve probably tried to make your business more efficient or invent a new product. However, studies have shown that a much better way for companies to become more profitable is to have engaged employees. As a business owner, you need employees you can rely on to run the day-to-day operations. For this to happen, employees need to be engaged in the success of your company. Although job satisfaction is critical to employee engagement, happiness is also a key component of this goal. I once heard a successful business owner say, “Employees first, customers second.” When I asked why, he said, “If you take care of your employees, your employees will take care of your customers.” He recognized the success of his business was tied to the happiness of his employees. Research has shown employees who identified themselves as happy in their positions are productive 80 percent of the time at work. Comparatively, employees who identified themselves as unhappy were only productive 40 percent of the time. Therefore, how do you keep your employees happy? One of the best predictors of employee happiness, satisfaction and well-being is employees’ passion for their jobs. You can’t change what your employees are passionate about, but you can increase the odds of having happy employees by taking a proactive approach to hiring. Employees that have passion for their work are consistently more satisfied, happier and far more engaged than employees who are just working for a paycheck. Another way to keep employees happy is to solicit their suggestions and ideas. Most workers truly want what is best for the company, but many feel their ideas to improve the company are ignored or dismissed. Act on as many of the ideas as possible. Even if you can’t use the idea, always be sure to give them praise and credit for sharing. Feeling validated and appreciated at work will keep employees engaged and striving for your company’s success. Problems will inevitably arise in the workplace. To ensure a high level of employee happiness, satisfaction and enjoyment, it’s critical to deal with employee concerns promptly. Regardless of whether the problem directly affects you, if it’s important to your staff, it should be important to you. Ensure there’s a system in place for employees to voice concerns. It’s your responsibility, as a company leader, to find out how problems were handled. Occasionally, you may find bringing in an outside firm to deal with widespread or deep-rooted problems is the best solution. Finally, make sure your employees know you view them as people, rather than just parts of your business. Senior leadership, including those at the very top of your business, should regularly interact with lower level employees. Getting to know all your employees at an individual level will make them feel appreciated and valued at work. These tips can not only keep your employees happy, they can ensure your business is positioned for growth. The relationship between employee relations and growth is something that many business owners overlook. Engaged employees are not only more productive, but also they’re generally better performers. A 2009 study by Watson Wyatt showed that highly engaged workers are twice as likely to be top performers, and that three quarters of them exceed or far exceed expectations for performance. Not only does this set of employees show a greater dedication in their daily tasks, but engaged employees also care about the future of the company and are willing to invest a good amount of time and effort into the mission and visions. They feel a strong emotional bond to the company that employs them, which results in higher retention and productivity levels and lower absenteeism. What’s more, positive employee engagement can be causally related or correlated to specific positive business outcomes by workgroup and job type. 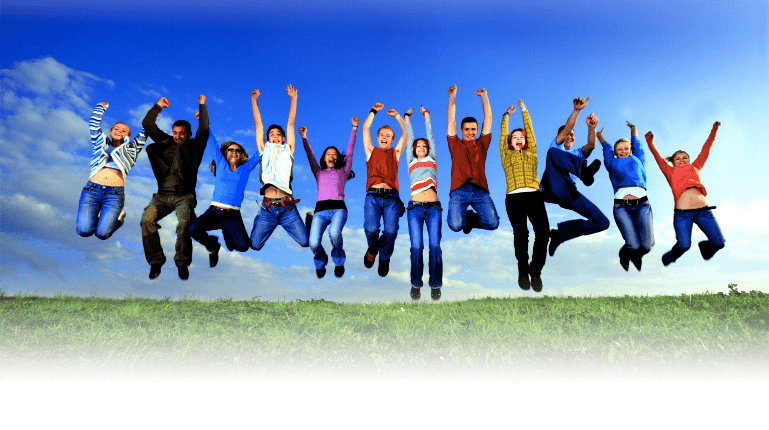 When a company has unengaged employees coming to work each day what do they do? They walk around, do what they have to and go home—they do so because they need the money, which doesn’t do a whole lot for the company. Employees that really care about the business want to work harder, be more efficient and help the business in any way possible. It seems incredibly simple if you really stop to think about it: the happier employees are, the happier customers are going to be. There’s a clear correlation between employee happiness and the mood of the customers that the happier employees help. 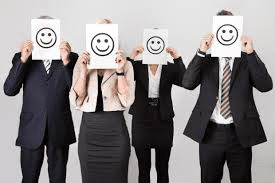 Customers tend to feel more welcomed and appreciated by someone who is smiling and cheerful as opposed to someone who is scowling and obviously not very happy to be at work. Engaged and satisfied employees lead to better service and invested customers who generate repeat business and contribute to higher sales. The Watson Wyatt survey also revealed that employees who reported high engagement work at companies with 26 percent higher revenue per employee, 13 percent higher total returns to shareholders over five years and a 50 percent higher market premium. Companies can miss how strong the link is between employee engagement and performance, but smart business leaders can’t ignore the proven potential in increased revenues. It’s no coincidence that over 40 percent of the companies listed in the top 100 of Fortune magazine’s “America’s Best Companies to Work For” also appear on the Fortune 500 list. Engaged employees are both the backbone and the face of most businesses. Failing to recognize these employees can hurt the company’s customer service and overall performance quality. Conversely, investing in engaging employees can lead to growth and higher satisfaction at every level of the organization. 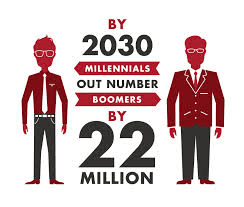 Millennials, also known as Generation Y, were born between 1982 and 2004. There are currently 80 million of these tech-savvy “creatives” on the planet, and they will account for half of the workforce by the year 2020. This generation is unlike previous generations. Millennials made their mark with many firsts. For example, they were the first generation to type all of their school papers on a computer; to have cell phones in high school; to communicate primarily through instant message (IM) and text; and, of course, they were the pioneers of social media. These cultural and economic experiences have shaped this generation’s attitudes and expectations about work. Organizations looking to this up-and-coming generation for leaders may want to take note of what makes Millennials unique. Millennials, known for their enthusiasm, collaborative nature and adaptability, have some unique recruitment and retention needs. To become a Millennial-friendly workplace, check out these simple tips. Provide regular feedback: Remember, Millennials were the first generation to experience the “everything now” culture created by the Internet. This need for instant access carries into the workplace as well. Annual reviews and yearly raises don’t cut it for the Millennial. Weekly touch-base meetings, monthly reviews and micro-raises over the course of a year are a much better fit for this generation’s need for constant feedback. And don’t forget the value of recognizing a job well done. Even a text message—accompanied by a simple reward, such as a Cell Phone Back Strap or a coffee mug—can be a nice way to show Millennials their work is noticed and appreciated. Chart the course: Millennials are go-getters. They want to make things happen and see immediate results. Providing clear goals and expectations, short-term career maps and salary projections will help this group know what is expected of them and how to get there. Your touch-base meetings and reviews are the perfect time to go over these plans and celebrate milestones. A power bank, Bluetooth® speaker or wireless headphones can be a great reward for achieving goals. Provide Millennial-minded motivation: Millennials don’t always connect with the traditional corporate perks and “bennies.” Flexibility, creative freedom and a healthy work-life balance is the best way to hook a Millennial. Champion growth: This generation values the opportunity for personal growth. To satisfy this need, organizations should offer training, mentors and opportunities to lead. Millennials are also charitable by nature. Show them the love by providing these social-change agents the opportunity to serve. Offer flexibility: Millennials value flexibility. Although clear direction and deadlines are a must, a strict schedule is not. Provide your direction and set them free to work when and where they want to. Being a Millennial-friendly workplace can be beneficial for all. For more information on keeping this generation challenged and motivated at work, check out this helpful Blue Paper courtesy of 4Imprint.